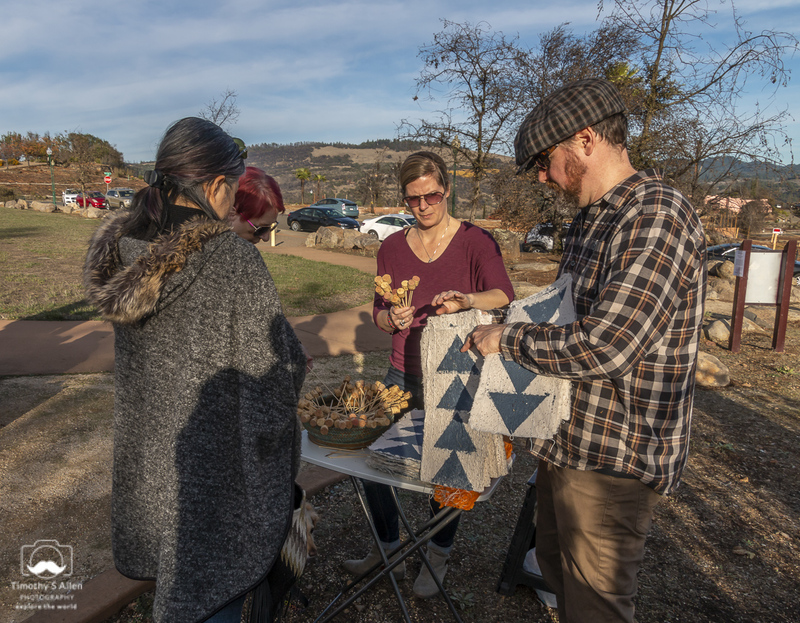 My “Living Quilt for Santa Rosa” public art installation with handmade paper and seeds for wildflowers in the pulp continues to change over time since it was installed on November 25, 2018, at Rincon Ridge Park in the Fountaingrove area of Santa Rosa. 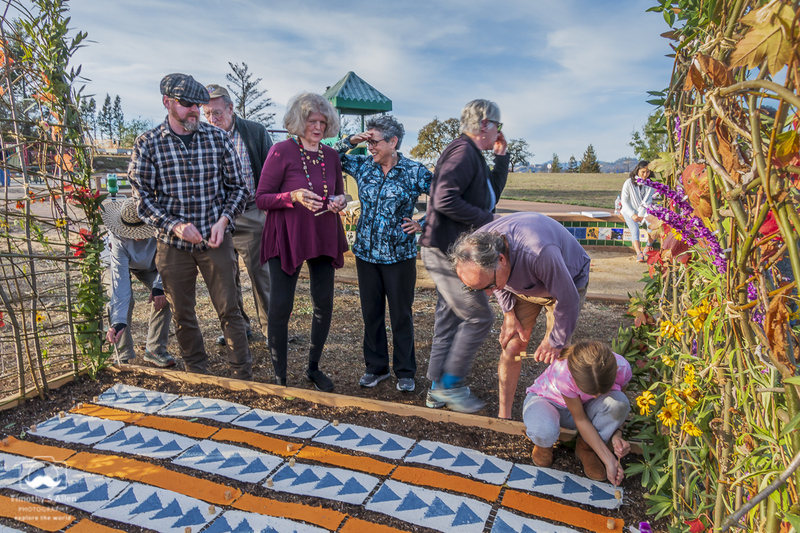 This project was one of four projects awarded a grant from the City of Santa Rosa public art department during the first round of Calls for Fire Response public art projects. 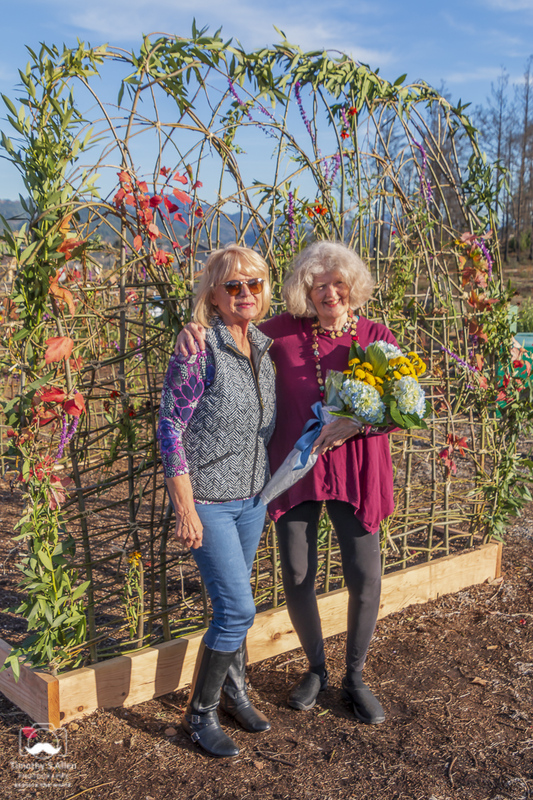 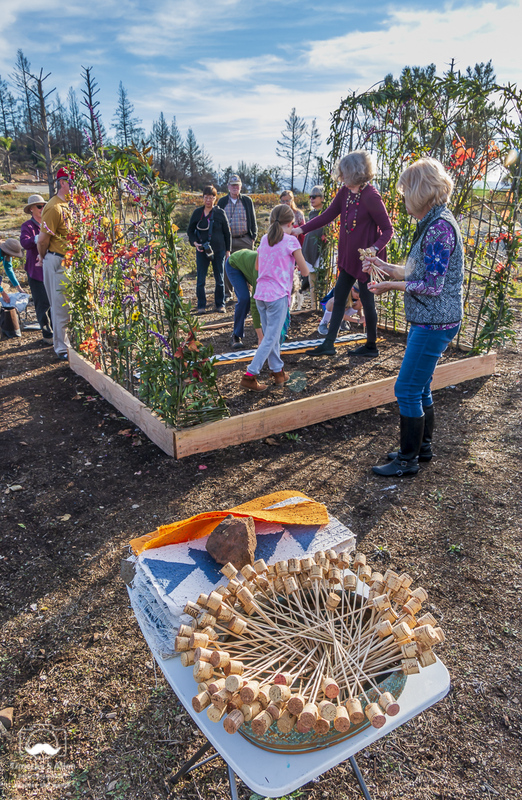 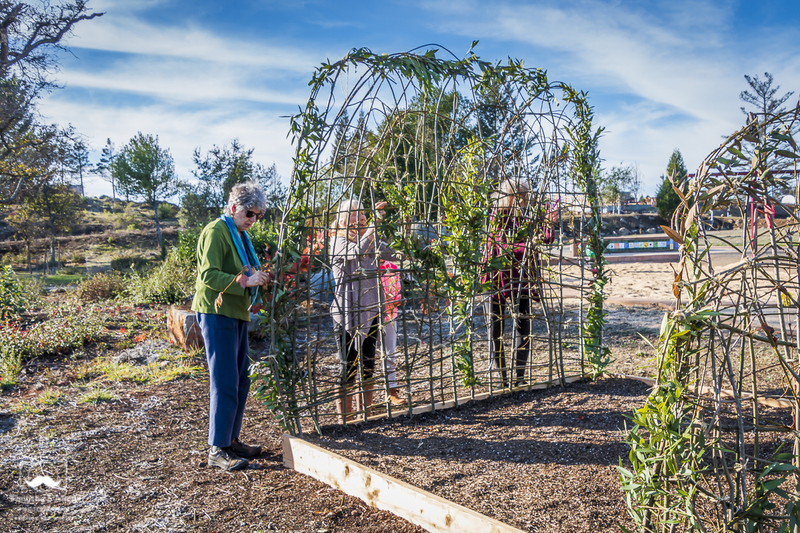 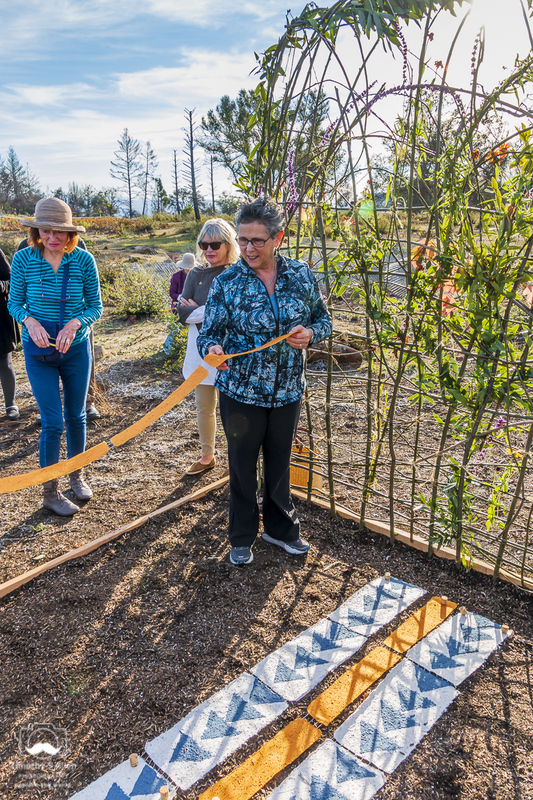 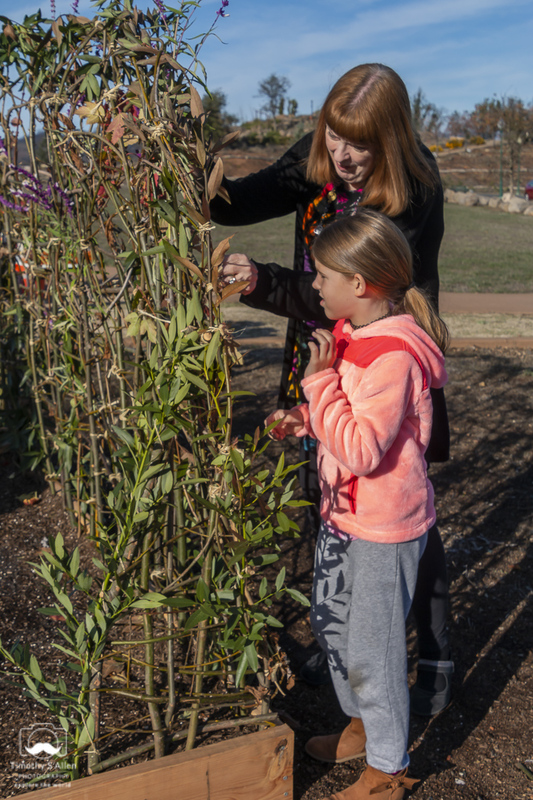 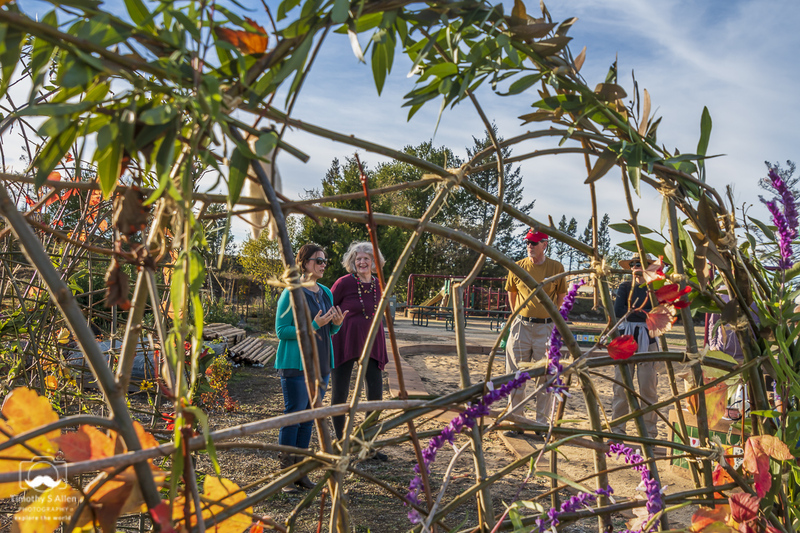 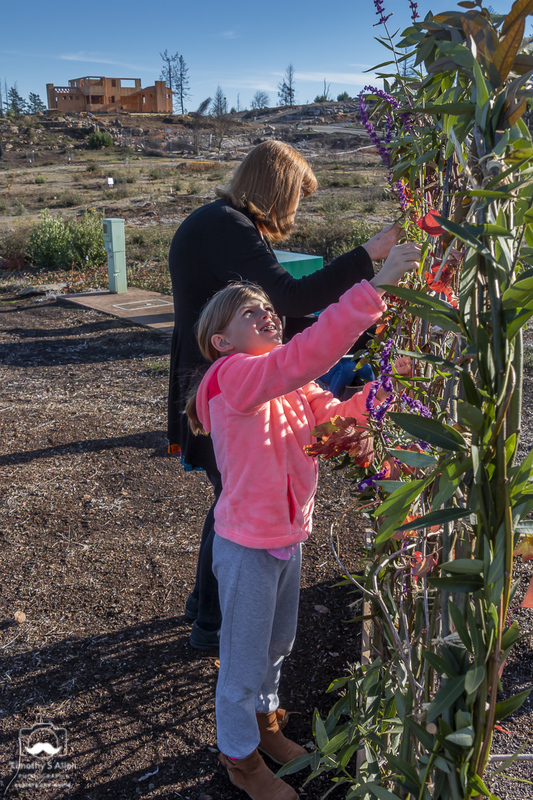 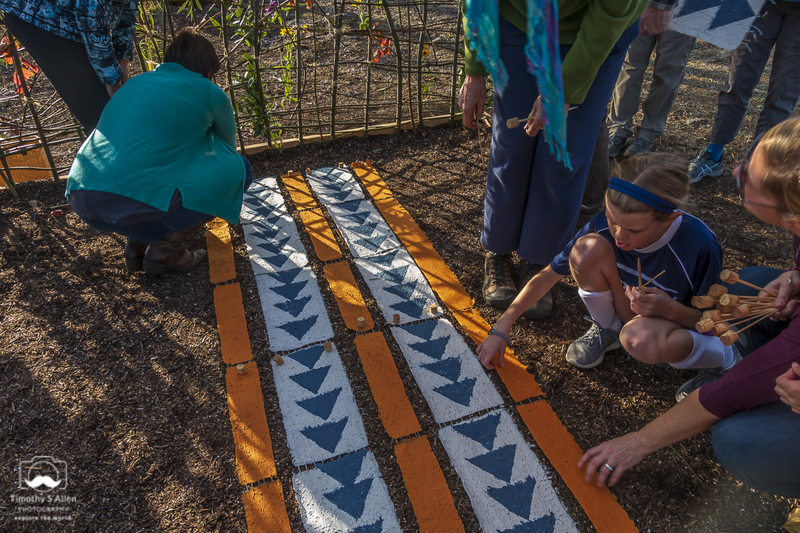 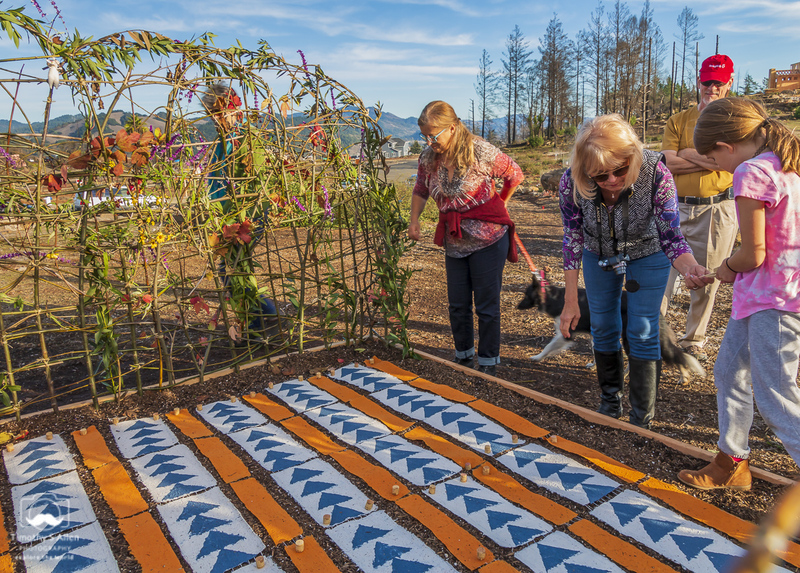 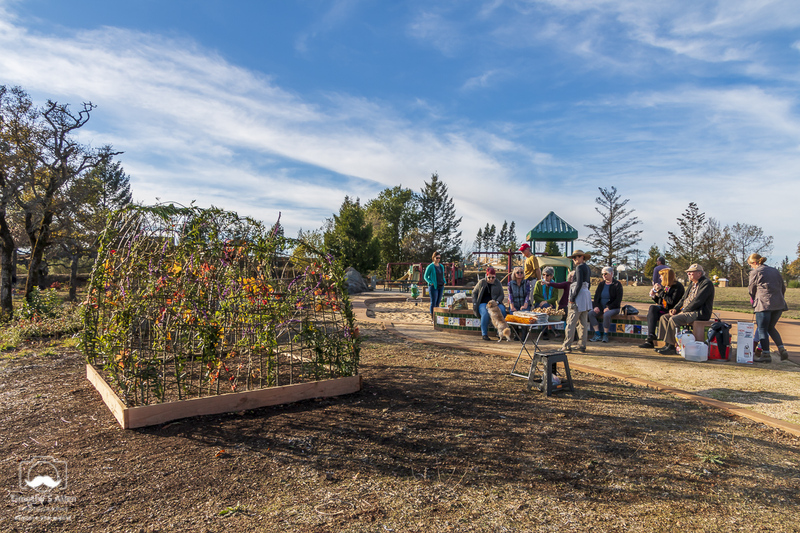 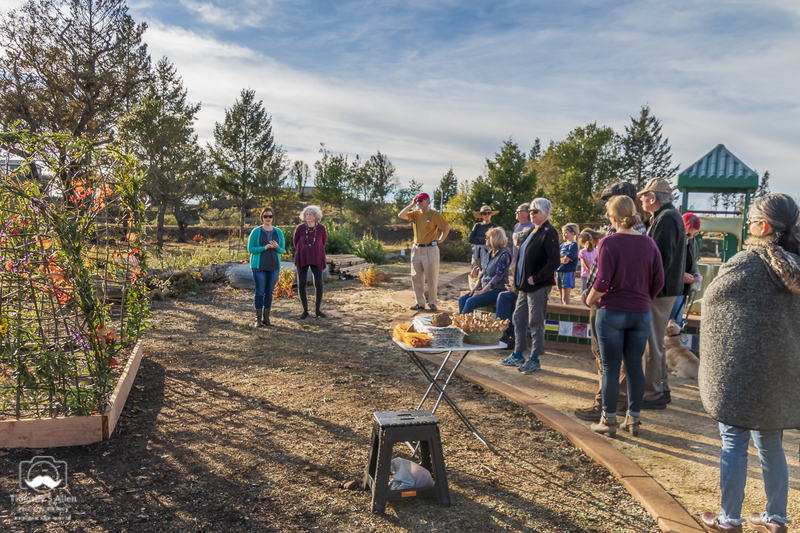 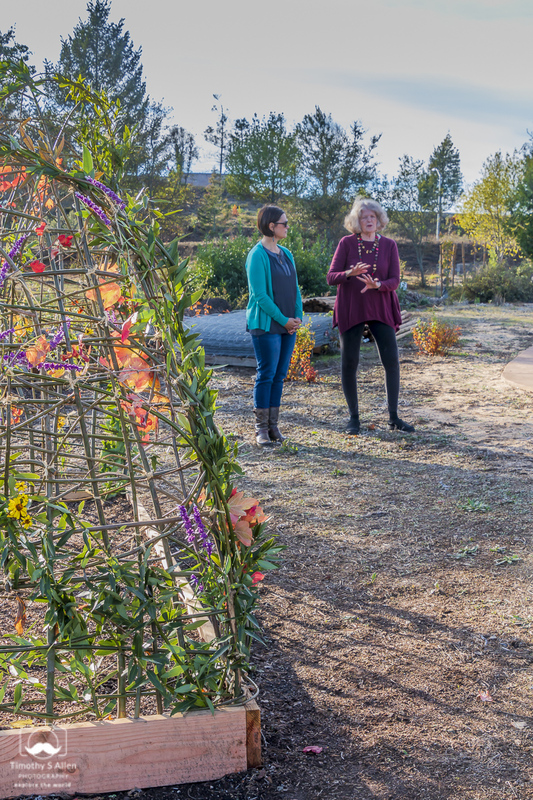 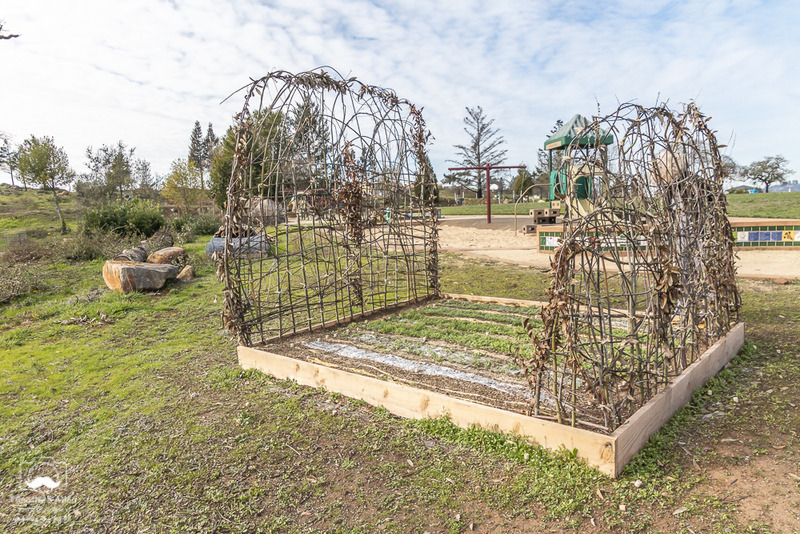 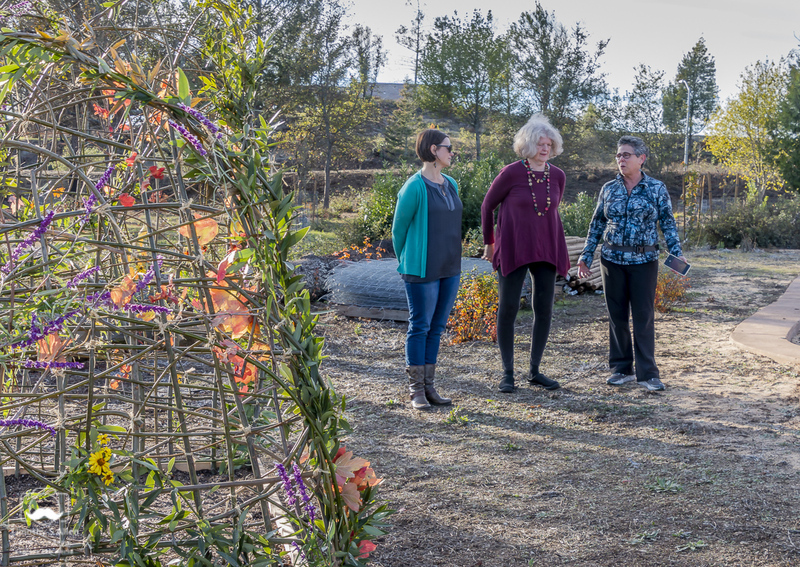 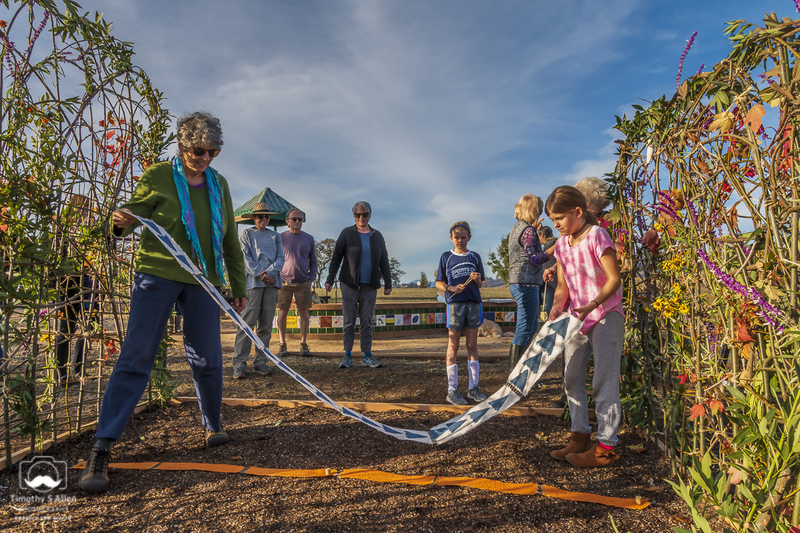 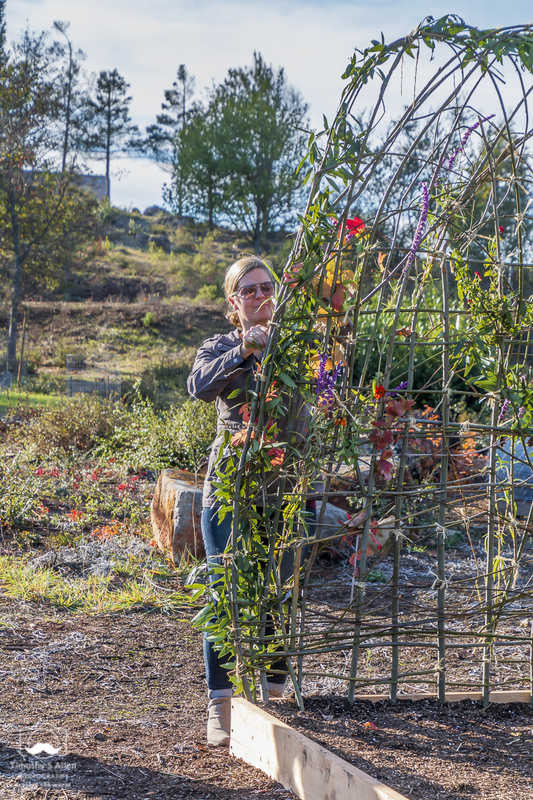 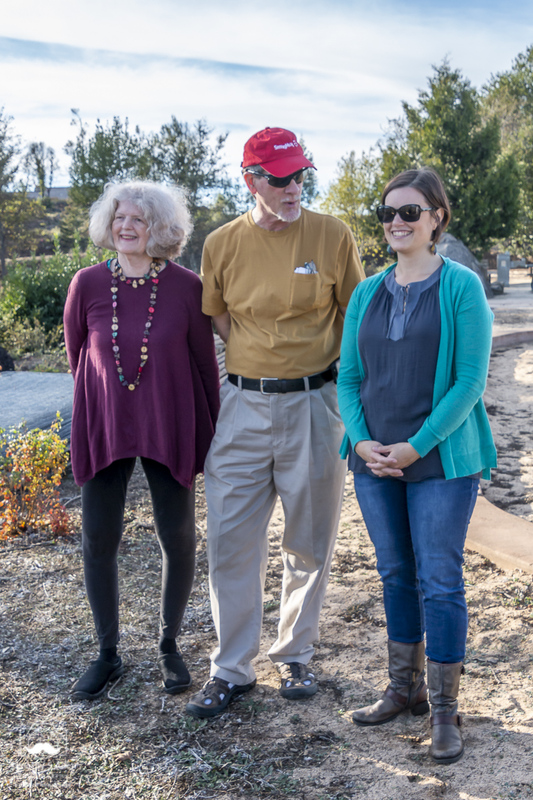 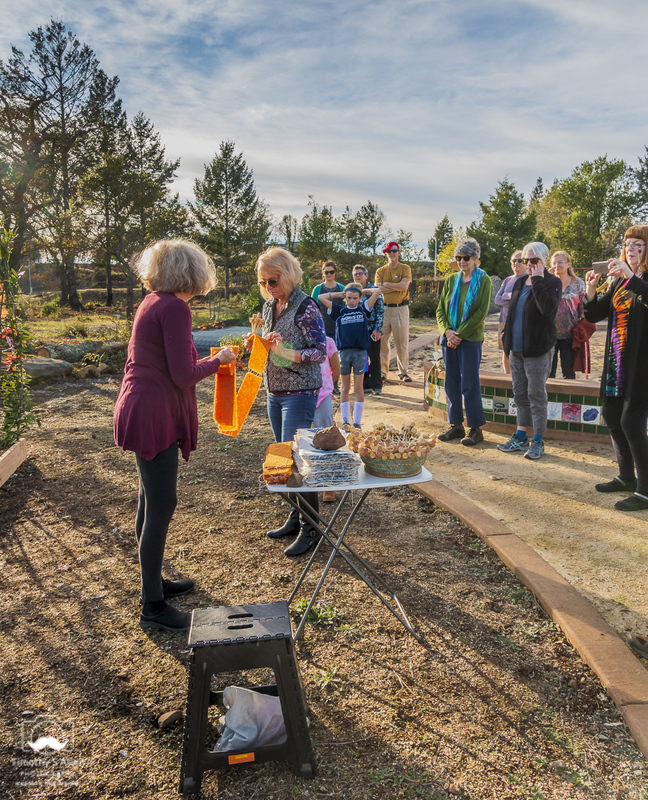 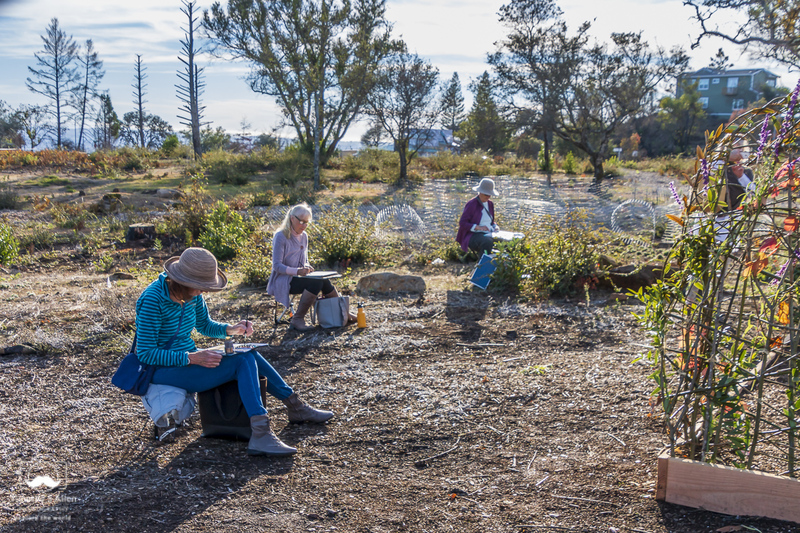 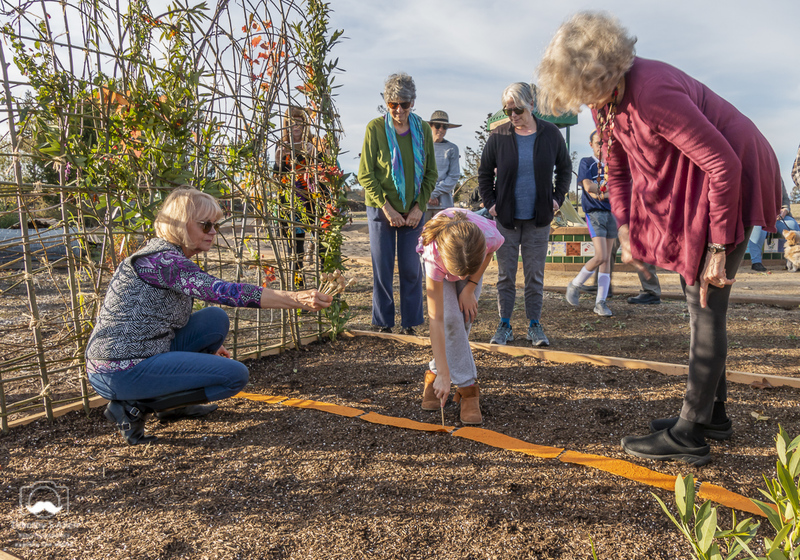 This installation was created with the participation of local volunteers, and it is bringing new life to this area of Santa Rosa that was devastated by the wildfires of October 2017. 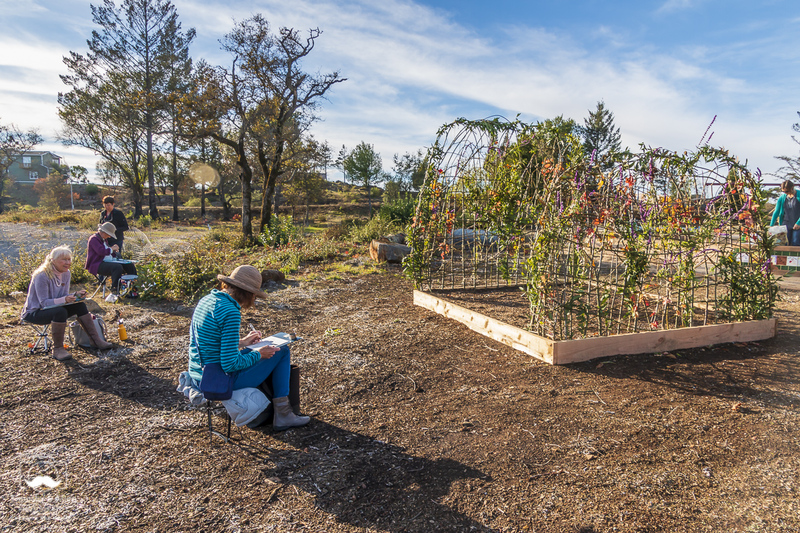 The wildflowers should continue to grow, and hopefully they will bloom in a few weeks. 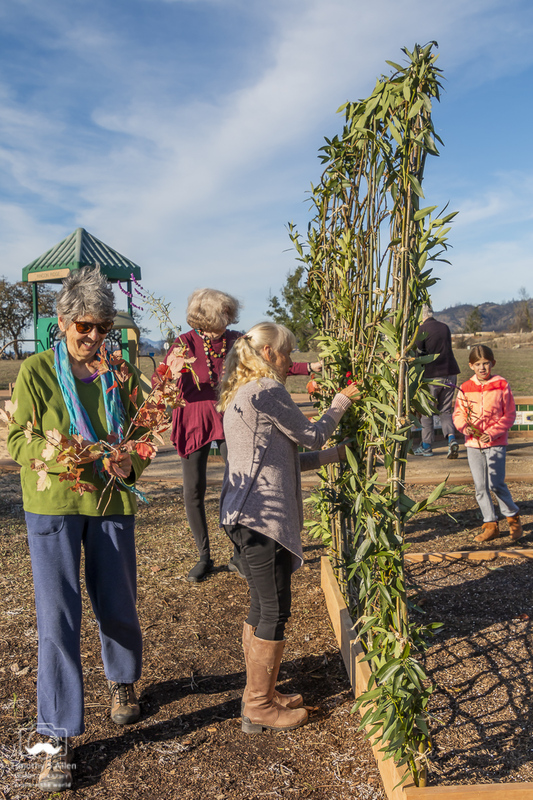 The weather has been sunny and warm, and many trees and flowers are already starting to bloom in Santa Rosa, CA. 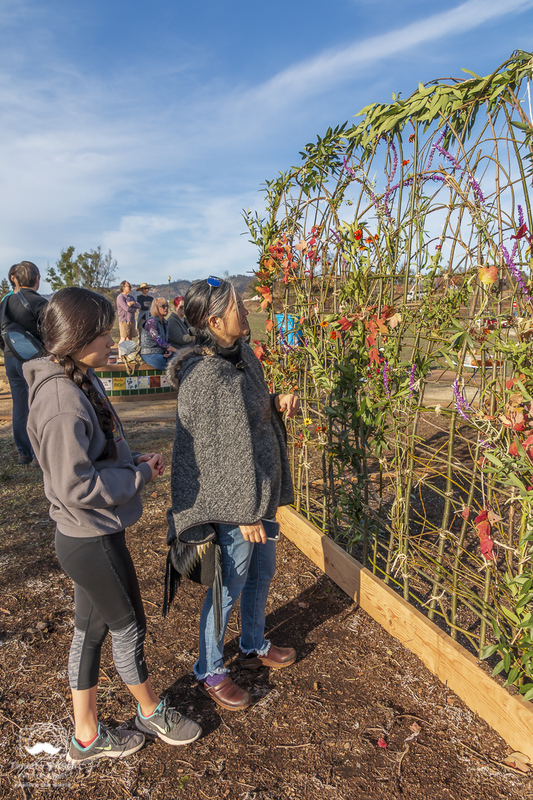 These photos show the art installation on January 28, 2019. 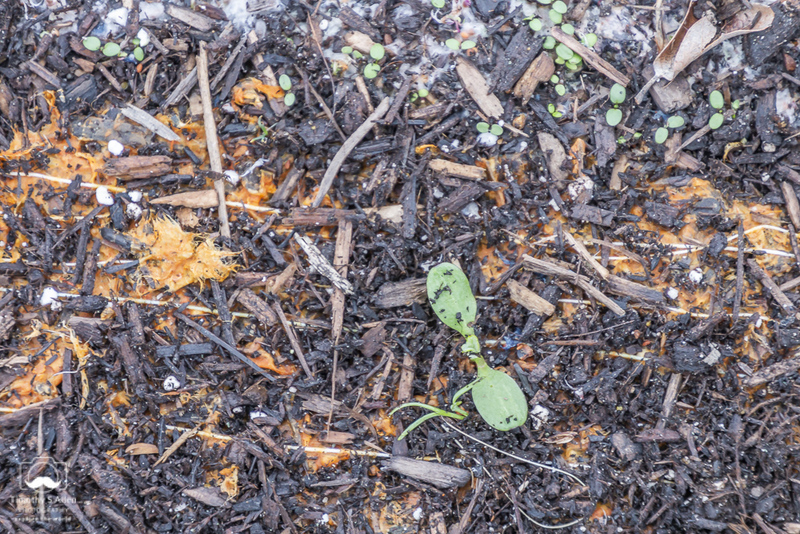 Some wildflowers are about 4 – 6 inches tall now! 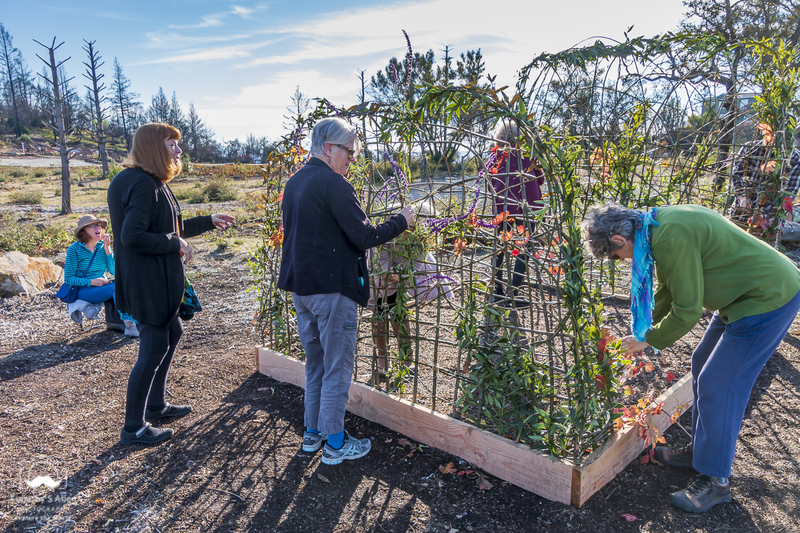 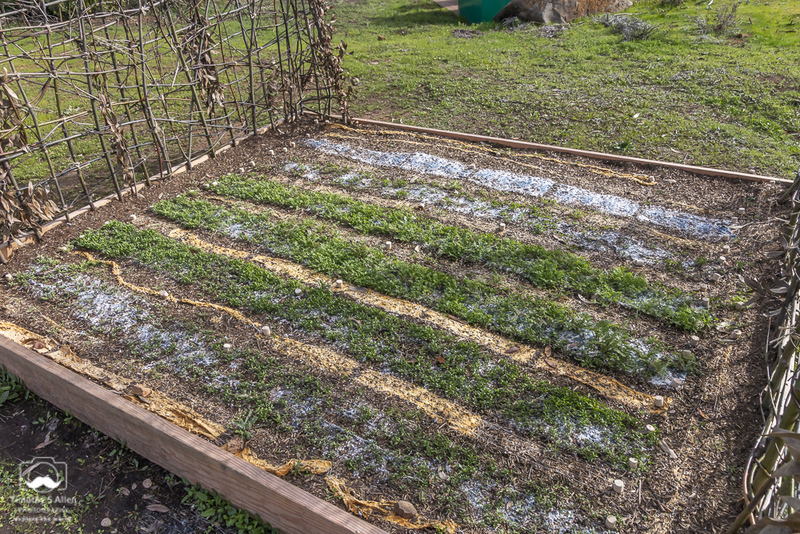 The public art installation “Living Quilt for Santa Rosa” is starting to sprout, and the tiny wildflower plants will continue to grow over the next few months. 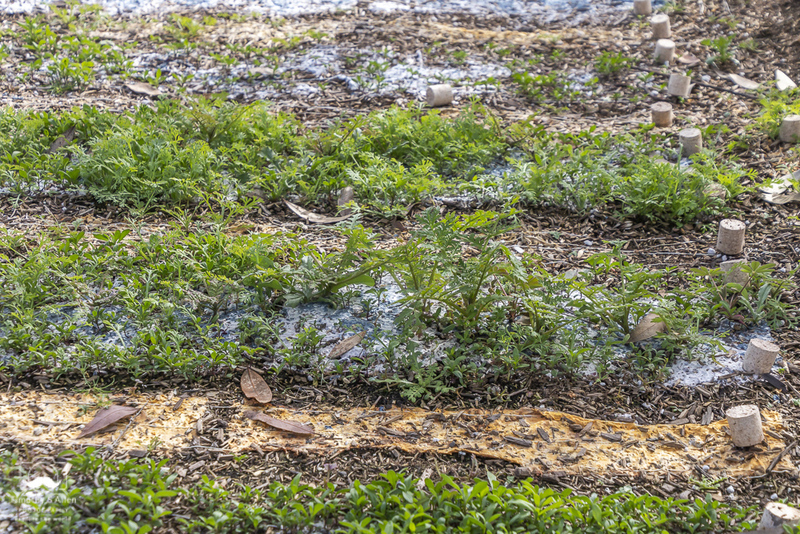 It all depends on nature, and we have had lots of rain lately. 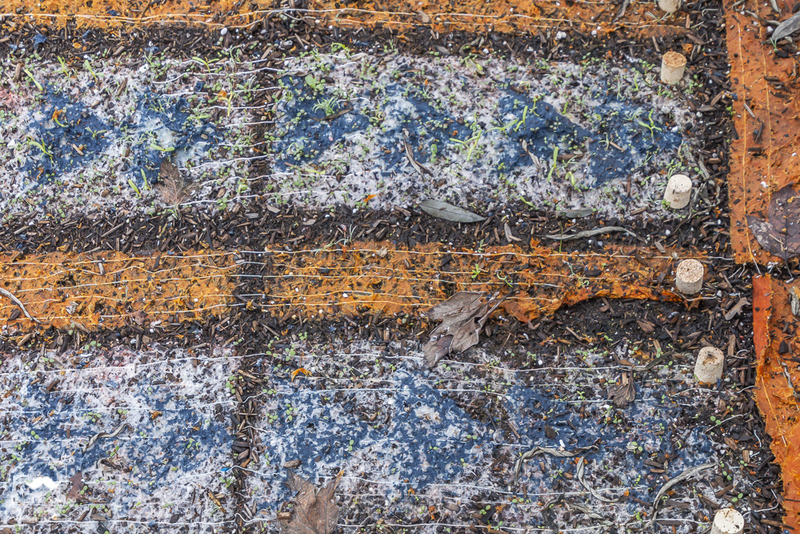 It also has not been too cold, so I hope that all holds out. 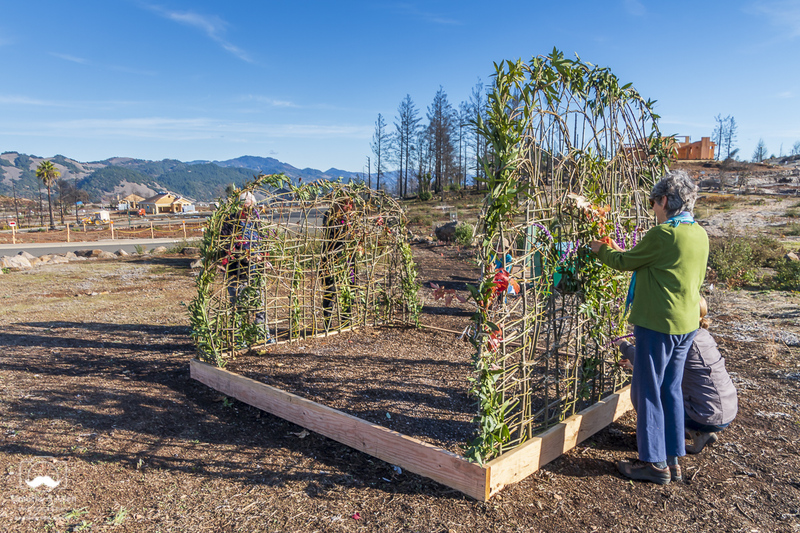 These photos were taken on Dec. 20 at the site of the installation at Rincon Ridge Park, Santa Rosa, CA. 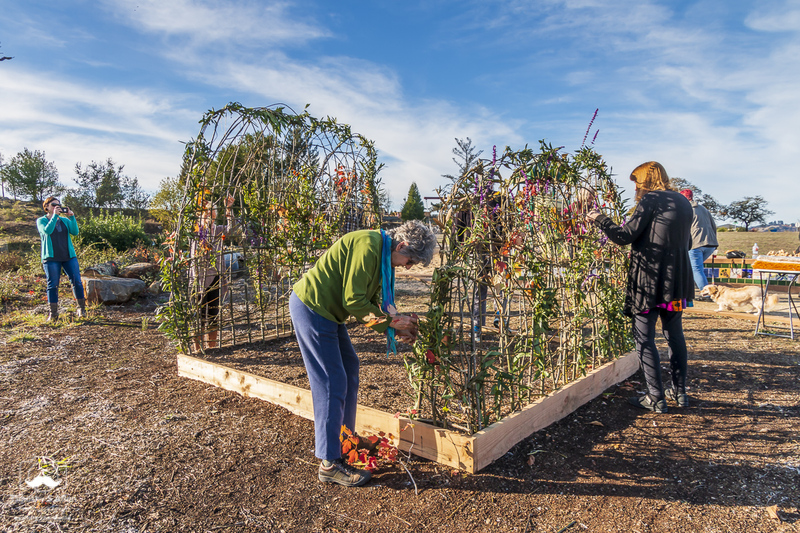 Hope everyone has a Happy Holiday time and that you get a chance to go see the installation as it continues to change over time. 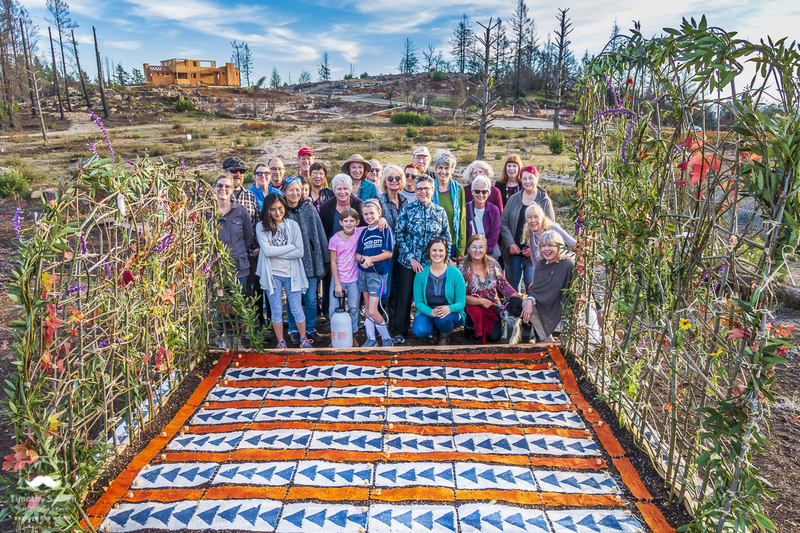 Thank you again to all the volunteers who helped with this public art project sponsored by the City of Santa Rosa as a response to the devastating wildfires of last October. 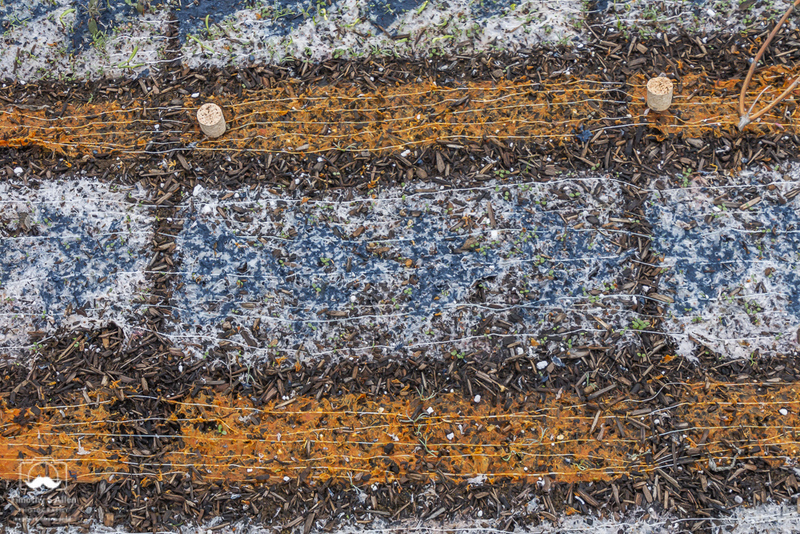 Keep watching here for more photos of the installation. 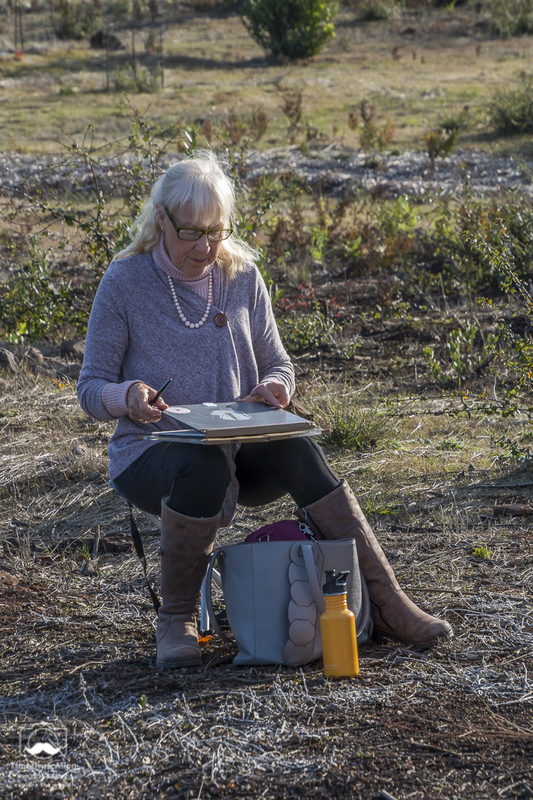 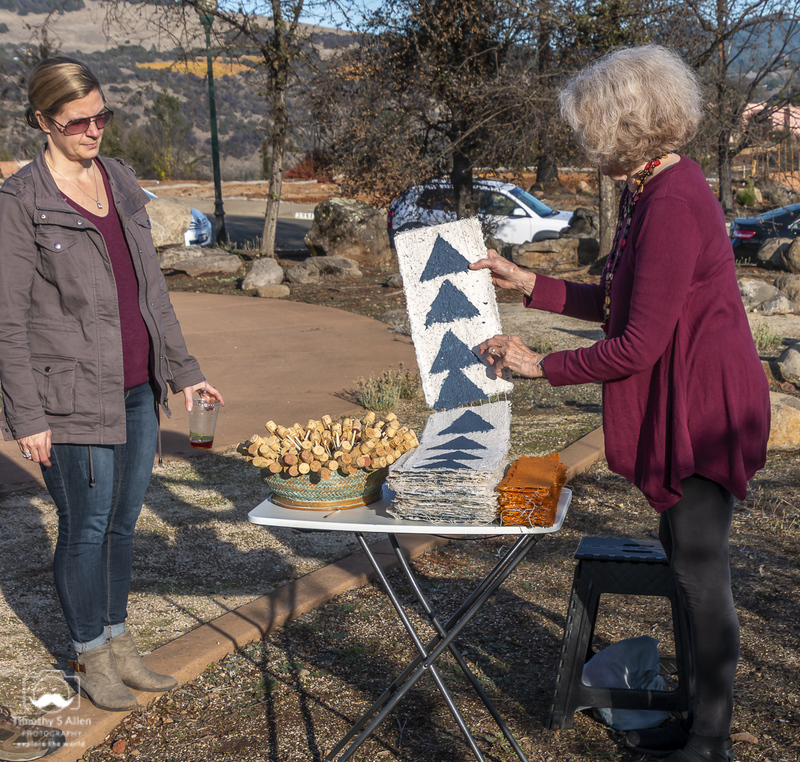 Jane Ingram Allen has been awarded a grant by the City of Santa Rosa for a public art project to commemorate the October 2017 wildfires in Santa Rosa, California, that destroyed so many homes, businesses and forests. 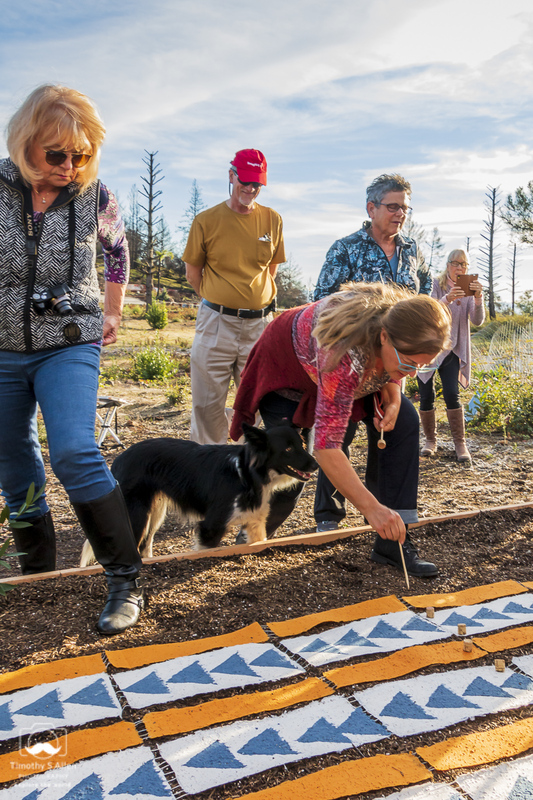 Jane’s artwork “Living Quilt for Santa Rosa” consists of a handmade paper quilt with seeds for wildflowers added to the pulp in the same colors as the quilt pattern. 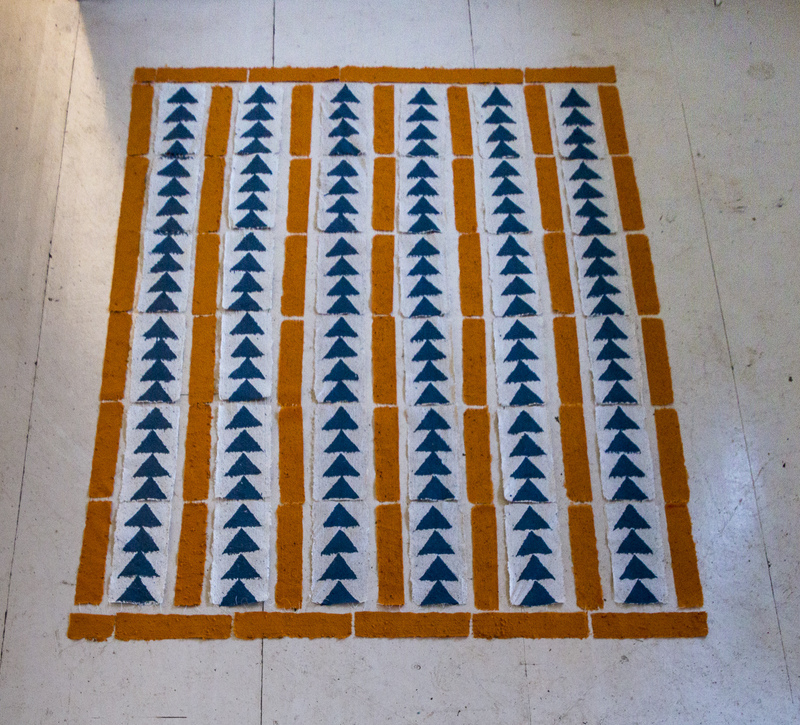 The quilt uses the traditional “Wild Geese” quilt pattern. 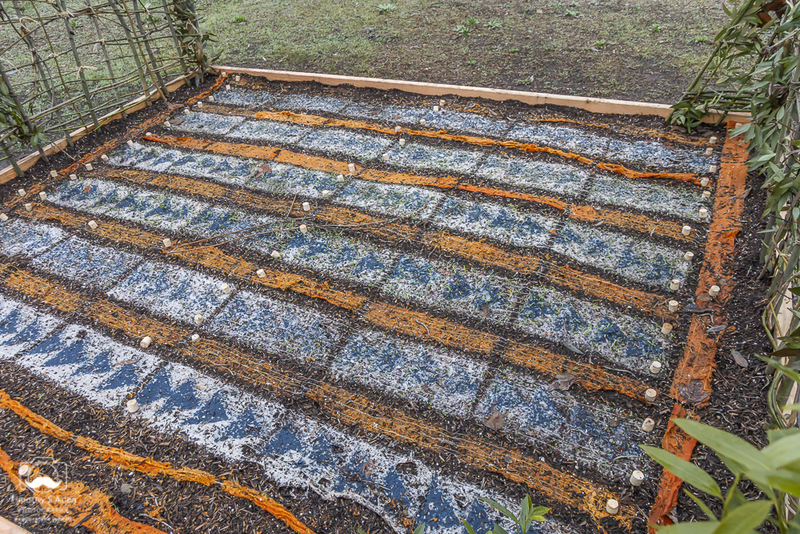 The blue color in the quilt is paper pulp made from recycled blue jeans. 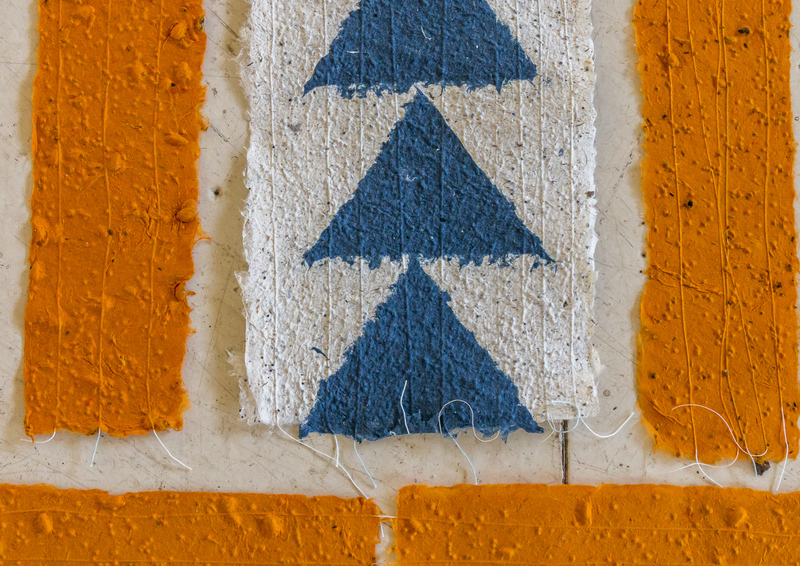 The yellow-orange pulp is abaca (a type of banana leaf fiber) dyed with a non-toxic fiber reactive dye, and the white pulp is the natural color of the abaca. 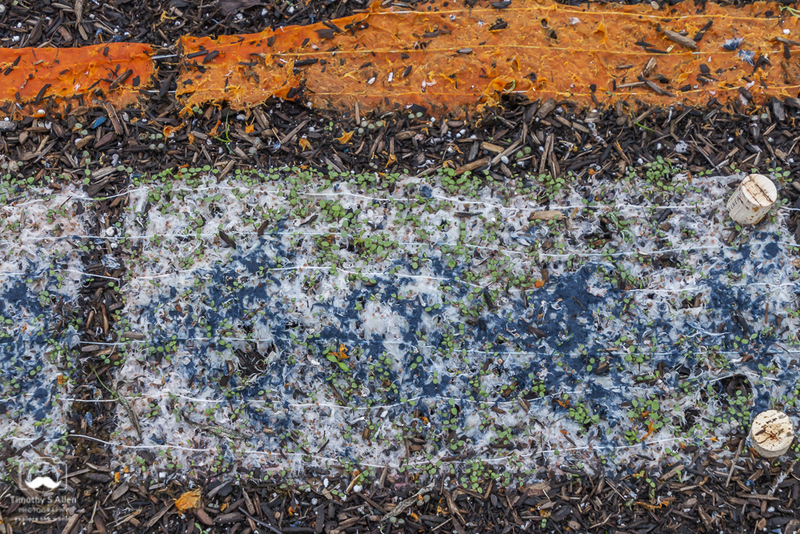 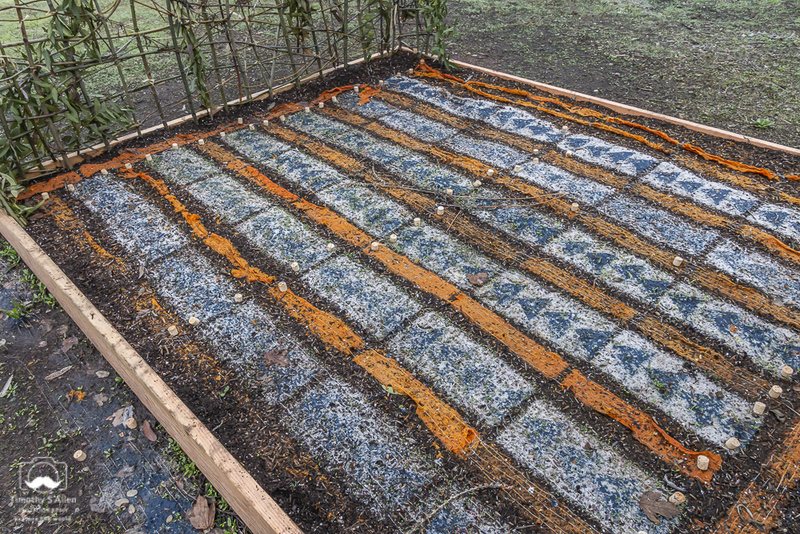 The wildflower seeds in the yellow-orange strips are for California poppies. 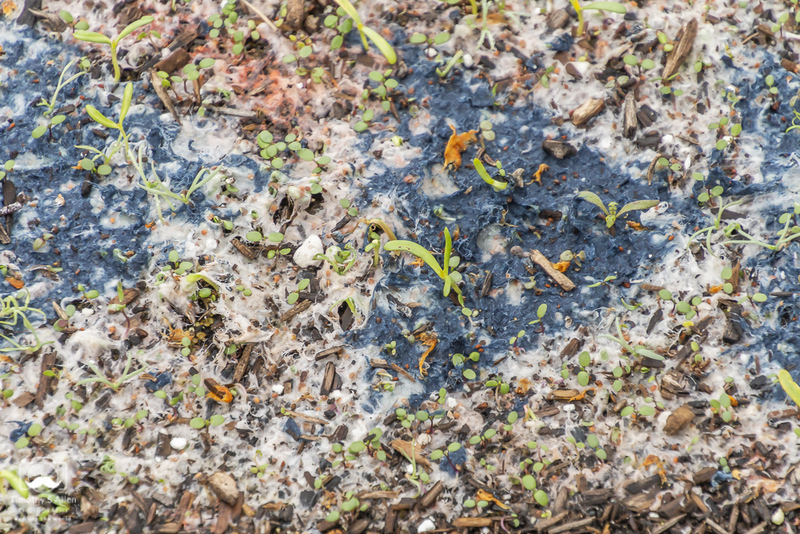 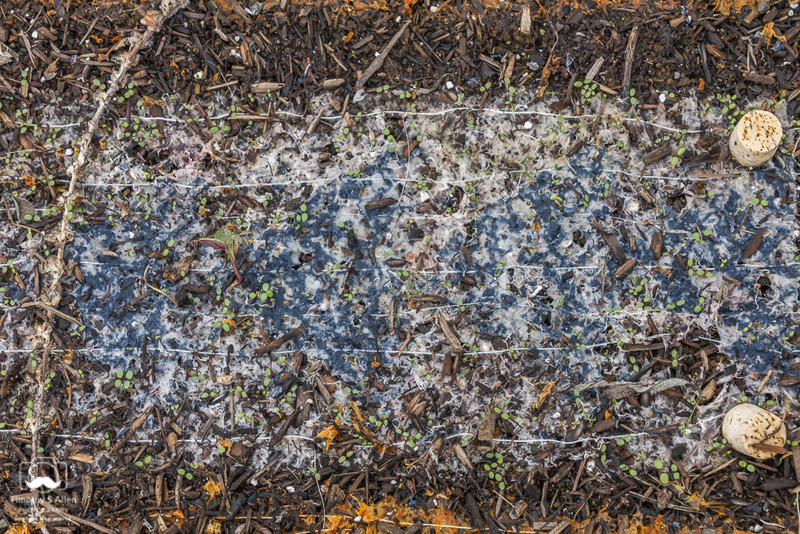 The seeds in the blue pulp are for California bluebells and mixed blue wildflowers, and the seeds in the white pulp are for Baby’s Breath and white poppies. 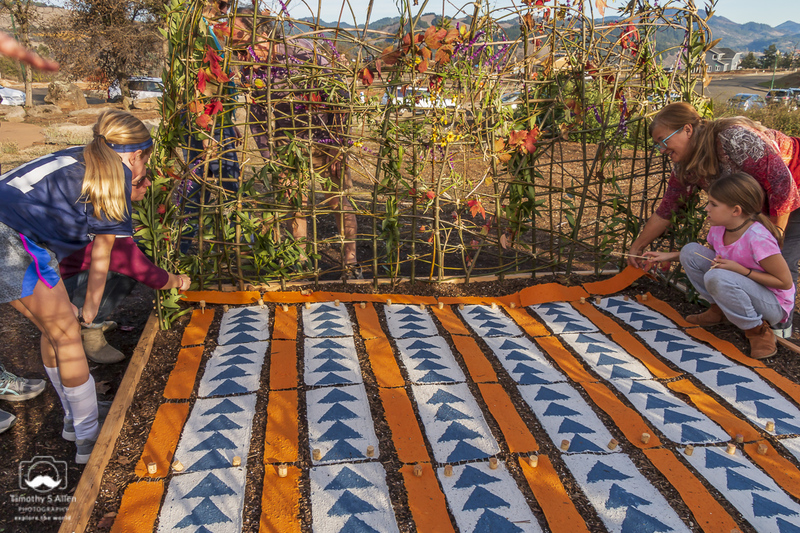 Community people will join the artist in helping to make the handmade paper quilt and weave a headboard and footboard of local trimmed branches for the “flower bed”. 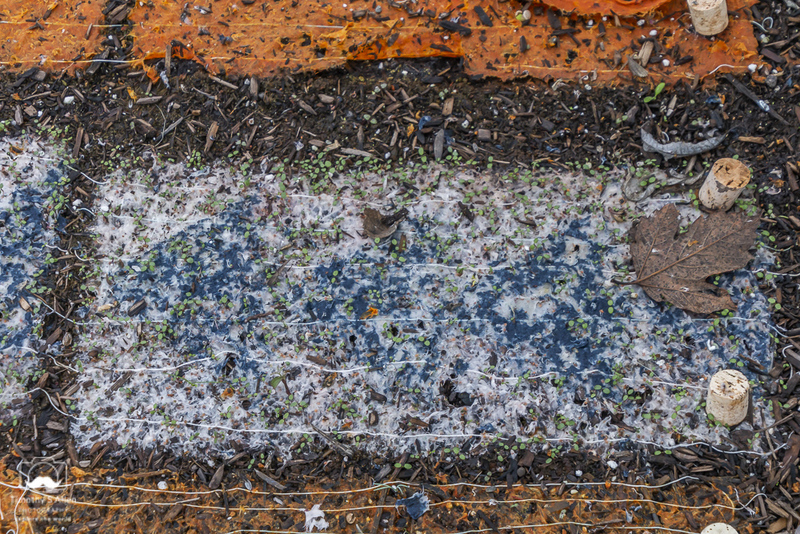 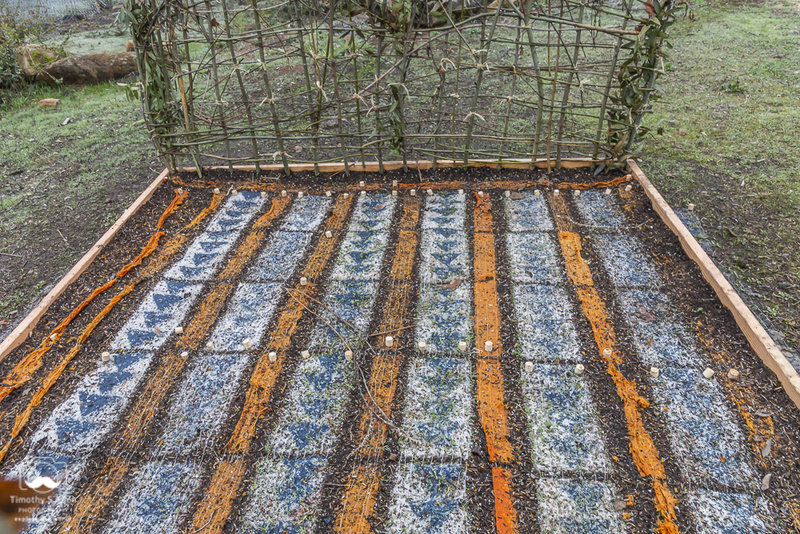 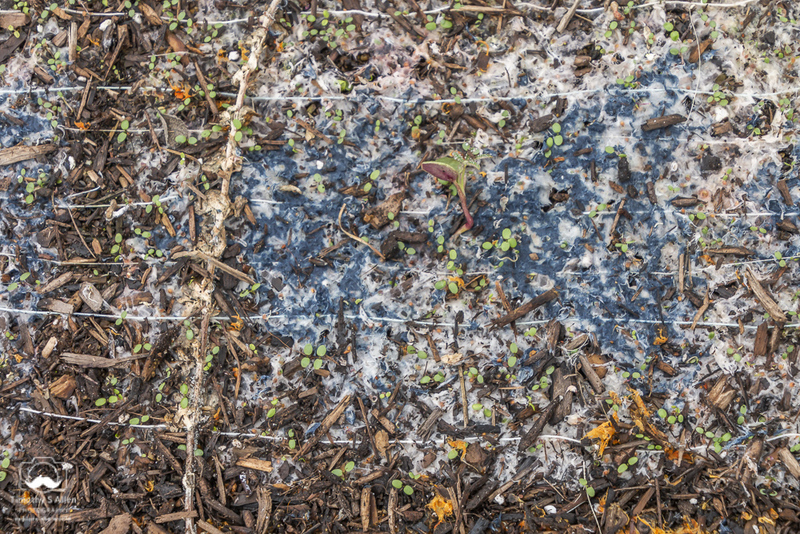 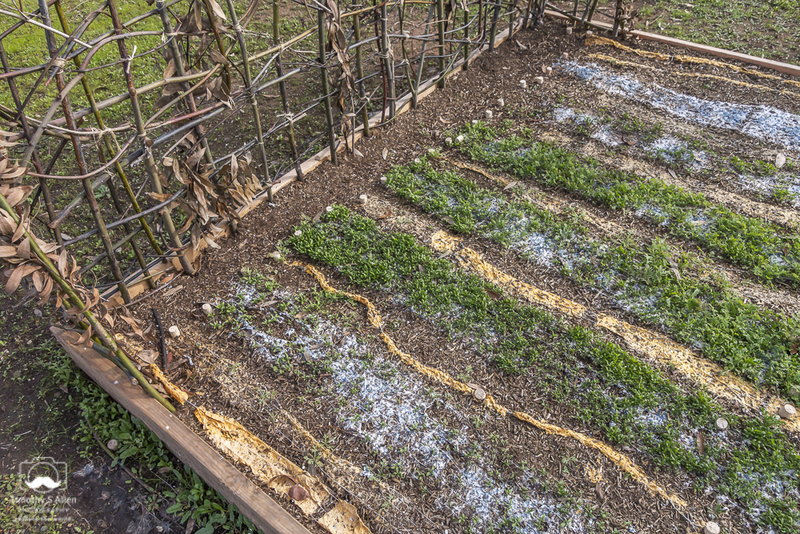 All of the materials in this eco-quilt are natural and bio-degradable and will change over time to become a living, blooming bed of wildflowers. 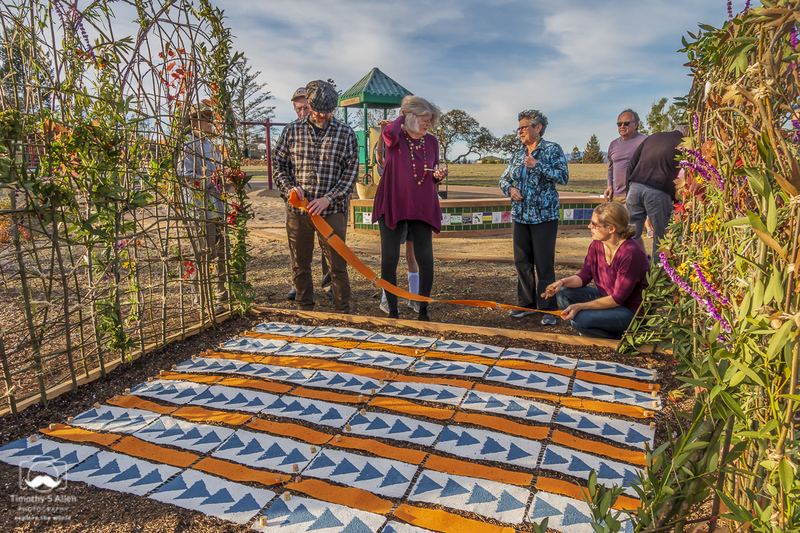 “Living Quilt for Santa Rosa” will be installed in a public ceremony at Rincon Ridge Park, off Fountaingrove Parkway, in Santa Rosa, CA, at 2PM on Saturday, Dec. 1.